In this first episode of “Kitchen Hacks Live,” we are putting together make-ahead oatmeal packets for the Fall – Pumpkin Pie flavor! 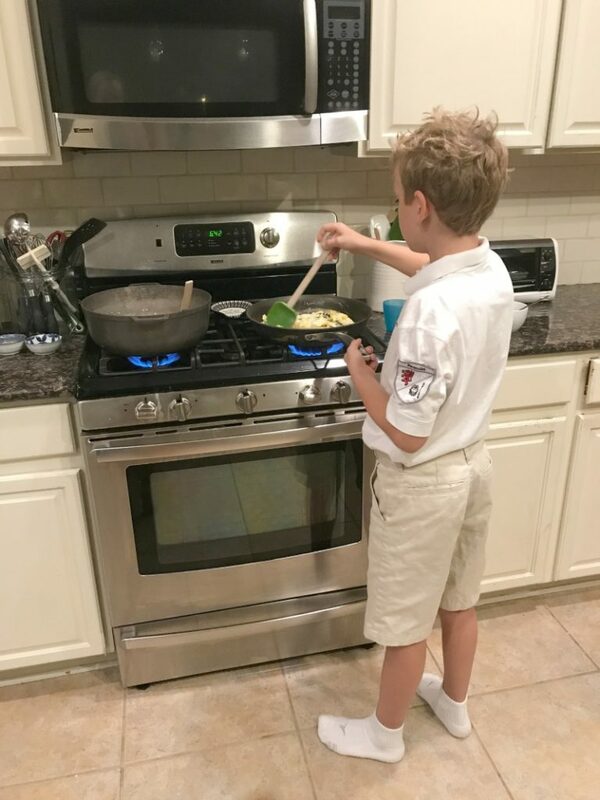 My boys love to make oatmeal in the mornings and last week, we were talking about fun ways to flavor it up. They settled on wanting to try homemade versions pumpkin pie and apple cinnamon oatmeal. I made up these little packets as individual servings and have told and showed the boys how to make a bowl of oatmeal with 1 packet. If they wished to make a larger pot, then could use a few packets at a time. 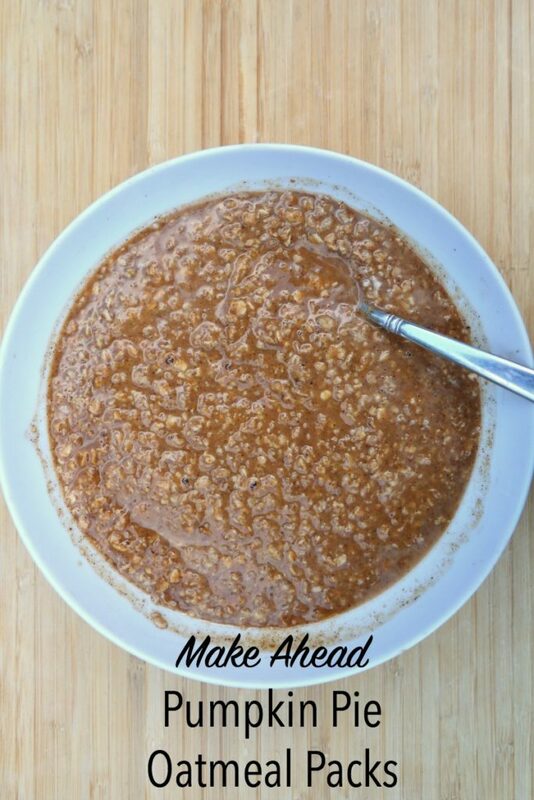 Make Ahead Oatmeal – Packets or Cook in Batches? Now, onto the ratio recipe for these packets. The top part of the recipe is the amount to make 10 packets. The bottom part is how to cook each individual packet. Enjoy! In a large mixing bowl, gently toss the quick cooking oats, cinnamon, ginger, cloves, allspice, nutmeg and salt. Using measuring cup, add 1/2 cup oatmeal mixture to each baggie. Seal tightly and store in an airtight container for up to 6 months. 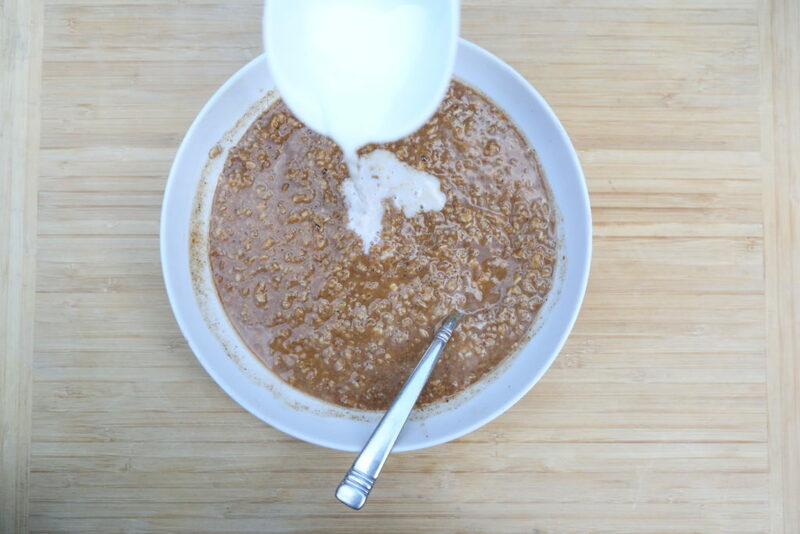 Add 1 packet’s worth of oats (1/2 cup) to cereal bowl and add 1 cup very hot water, or add 1 cup water plus packet contents and microwave for 45 seconds to 1 minute. Stir in the pumpkin, vanilla, and then add milk to thin out, to your desired consistency. 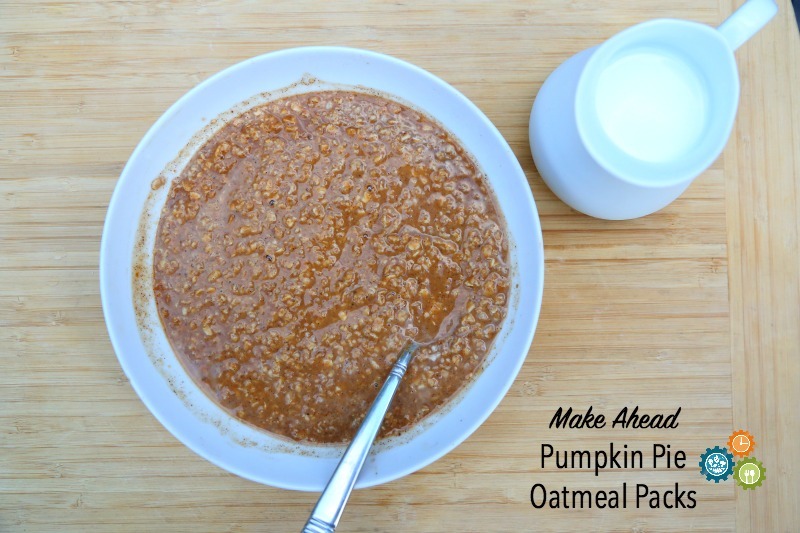 Serve Pumpkin Pie Oatmeal as quick breakfast, or filling after school snack.